As a girl, we're all guilty of spending countless hours in front of the mirror trying to perfect natural, effortless looking hair - without ever seeming to achieve it. Girls everywhere are searching for the secrets behind an 'I woke up like this' look. 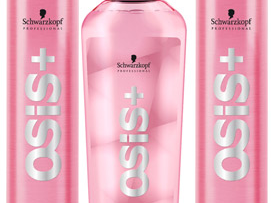 Schwarzkopf Professional has come up with the answer to this in a handy little product called OSIS+ Glamination. OSIS+ Glamination will be the first female styling range, infused with liquid mineral that offers three products in one - prime prep spray, plumping shine mousse, and strong glossy hold-spray. The multi- talented product is set to be a god-sent for finishing any look.